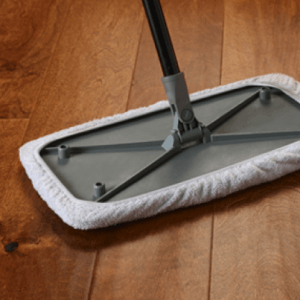 What should you use to clean hardwood floors? The beauty of hardwood flooring in your home is unparalleled, with both solid and engineered hardwood being popular flooring choices among our customers. To ensure the durability and elegance of your hardwood flooring, many of today’s manufacturers use built in scuff resistant technology to keep floors looking their very best. 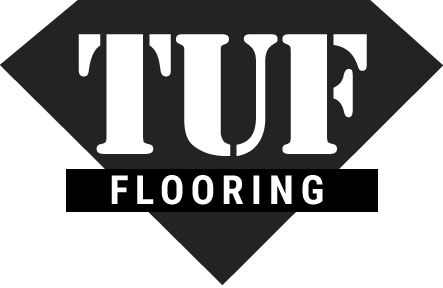 TUF Flooring know how important it is to follow a protective care and maintenance routine once your hardwood floor installation is complete. For a start, buy entry mats and doormats or remove all outdoor shoes before walking across your hardwood flooring. Use floor protectors for heavy furniture, to make sure it doesn’t leave any dents or indentations on your new hardwood flooring. Every day care and maintenance could include sweeping, vacuuming or dry mopping your hardwood flooring. Make sure to check with your manufacturer’s care and maintenance guide, in addition to their list of approved vacuum cleaners, before caring for your flooring. If your flooring needs more than just a dry surface clean, use a manufacturer approved cleaning solution and follow their guidelines. If you need a periodical deep clean, hire a local professional floor cleaning company. For recommendations, speak with any of our store representatives! Be mindful of preventative maintenance for your new hardwood flooring; frequently trim your pet’s nails or remove your high heels and stiletto shoes before walking across the floor. Since hardwood flooring is also sensitive to the indoor climate of your home, invest in a humidifier during the dry heating season and run a dehumidifier during cooler weather. Since layered looks are in style, add an area rug on top of your hardwood flooring to protect and enhance the interior design. Spills and stains are inevitable, so it’s important to educate yourself on how to remove common household stains successfully without damaging your flooring. With stain and scuff resistant technology built into many hardwood finishes, most common spills like liquids or pet accidents will wipe away clean with ease. Be sure to tend to liquid spills immediately, as hardwood flooring is not water resistant. For other common stains like wax residue or nail polish, consult with the manufacturer’s guidelines.